I'm heading to New York today to begin guest-teaching for a week at NYU. For some reason they have me teaching comedy writing. I also plan to stand in the half-price ticket line and get good seats for HAMILTON. I assume I'll have my pick of nights. Unfortunately, I missed the Justin Bieber concert by a week. But I love New York and you could find me pretty much anywhere in Manhattan -- except the Trump Tower. 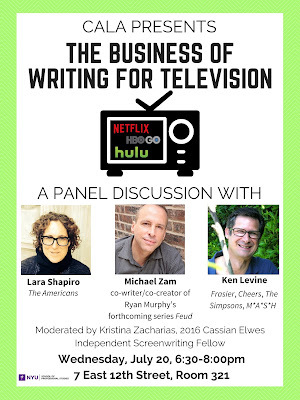 On Wednesday night I'll be participating in a free panel that's open to the public. If you're in the area and not glued to the convention swing by. Even though that's an old picture of me I'll be saying new stuff. Seating is limited. You have to RSVP here. I hope my Metro Card is still good. I wish I could attend - have a great time in the Big Apple! P.S. If you do have an expired Metrocard, you can take it to a booth at any subway station and ask the agent to transfer your balance to a new card. What are the chances of audio being available for those of us unable to be in New York? Bring your tank tops and shorts. The heat index is brutal right now. I hope your hotel has a pool and ice cold AC. Ken, if you've never done it, and you probably have, but if not, gather a few folks after class and go have dinner at Sammy's Roumanian Steakhouse. Many smiles. Any chance they will stream. You may joke about the subway, but nowadays it's relatively clean (you see what happens when 3 million people a day tramp through YOUR living room). Most of the trains are less than 10 years old, and its JAM PACKED 24 hours a day. Too bad - you missed by two weeks a great event - A guy named Noah Diamond resurrected the Marx Brothers first Broadway hit, I'LL SAY SHE IS, a play that wasn't made into a movies, that most of it's script (if there eve was one) was missing, as well as the songs and score. Diamond labored many years putting it back together, then actually putting it on the stage, first at a Marx Brothers festival, then at the famous Fringe Festival, until he was able to get it together for a month's run in a small off-Broadway house in the east Village. It was a thing of beauty - they had an old fashioned chorus line, and managed to be true to both the Marx Brothers, and what a 1924 musical must have been like. Diamond was an excellent, energetic Groucho, and Seth Shelden, who was Harpo, was simply brilliant! You literally could not take your eyes off him the whole time. He stole the show - and few dozen pieces of cutlery... Diamond wrote a great book about the whole ISSI experience; from the story of the original show, to his his hard work reviving it. It's called GIMME A THRILL, and its great for anyone that's into the theater. Enjoy your trip Ken! What a wonderful story, LouOCNY!! I wish I could have seen it, but I will definitely get the book. P.S. There is an outstanding article about this play/project in the June 1 New Yorker. Hey, Jimmy. I just saw it in LA and LOVED IT. For anyone in New York, this is a HILARIOUS night of theatre. But I'm always up for a drink. bossjock@dslextreme.com. 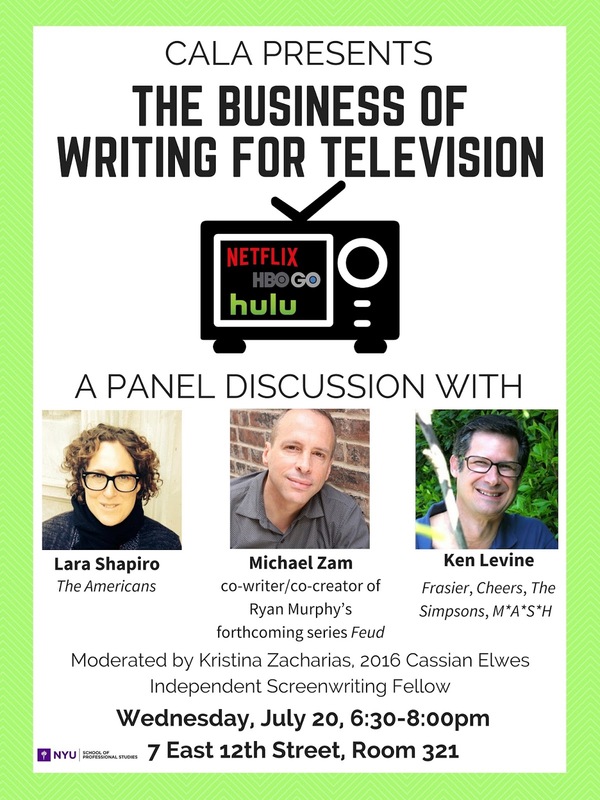 Very much looking forward to seeing you and hearing words of wisdom at NYU - am plugging away trying to break into TV writing here in NYC (was a CBS TV Writing Mentoring program finalist last year) - into procedurals but just did a first draft of a comedy. Celebrity fan mail -- the ultimate cry for help.